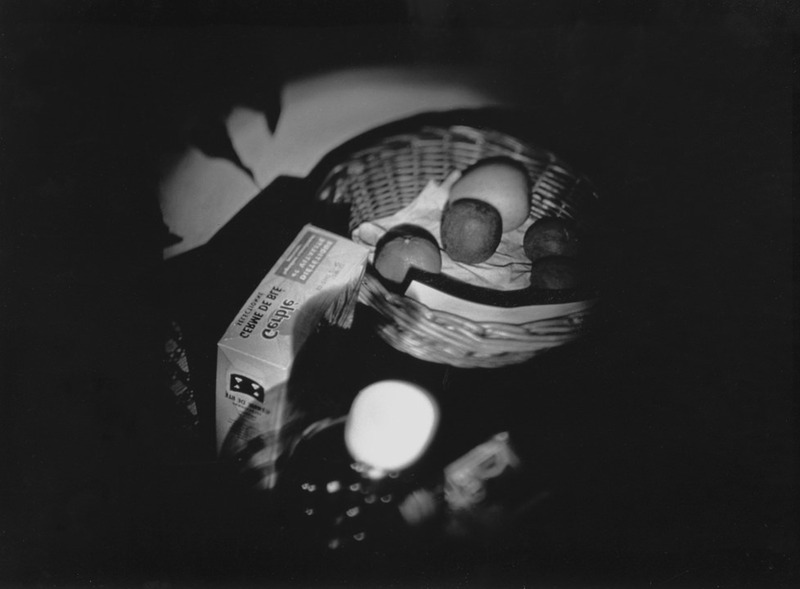 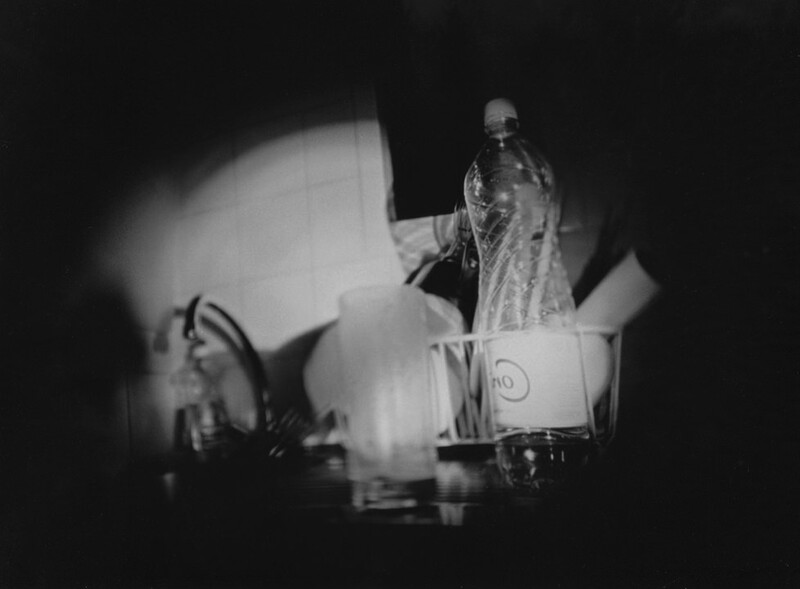 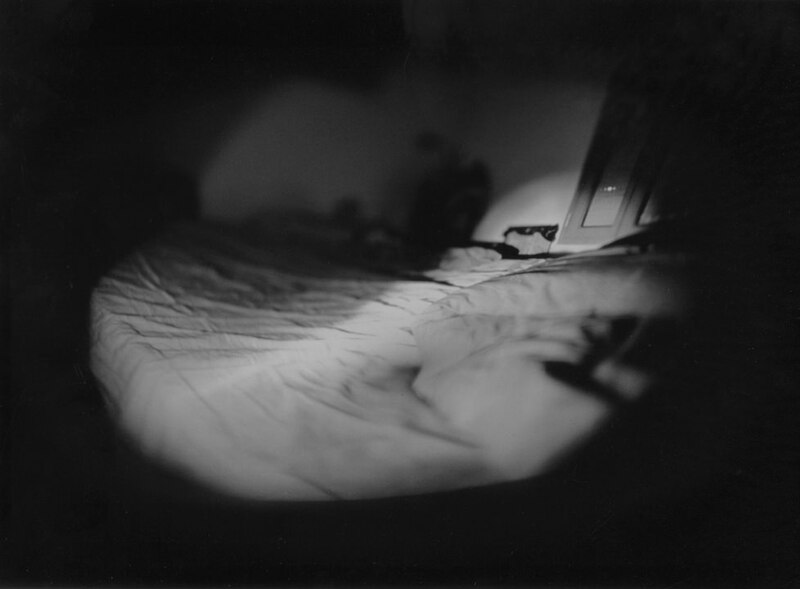 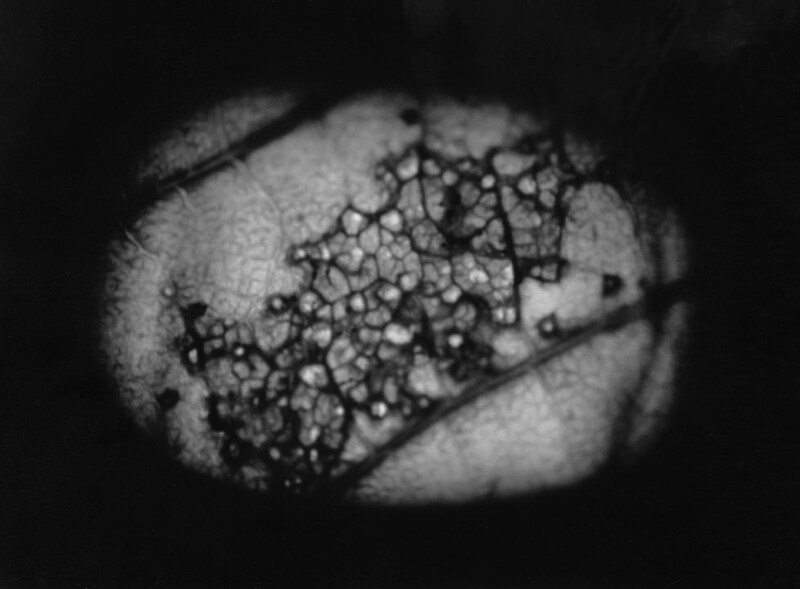 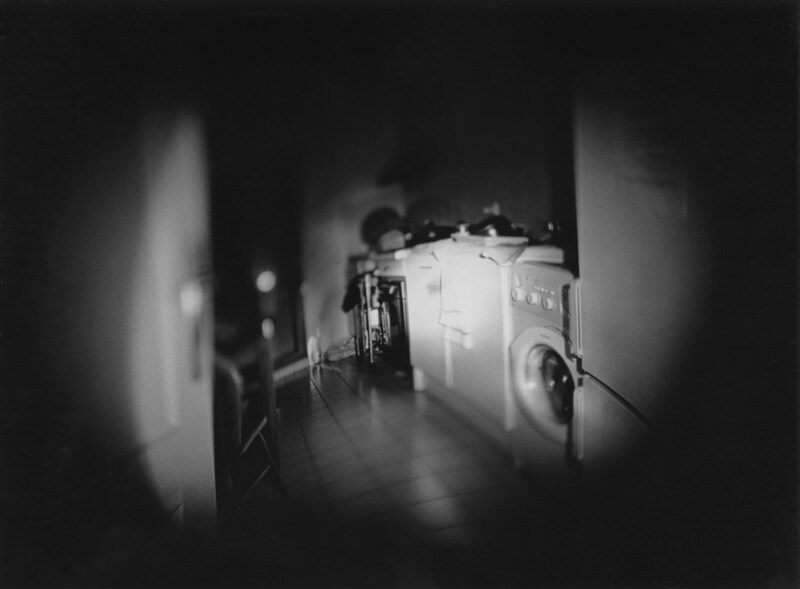 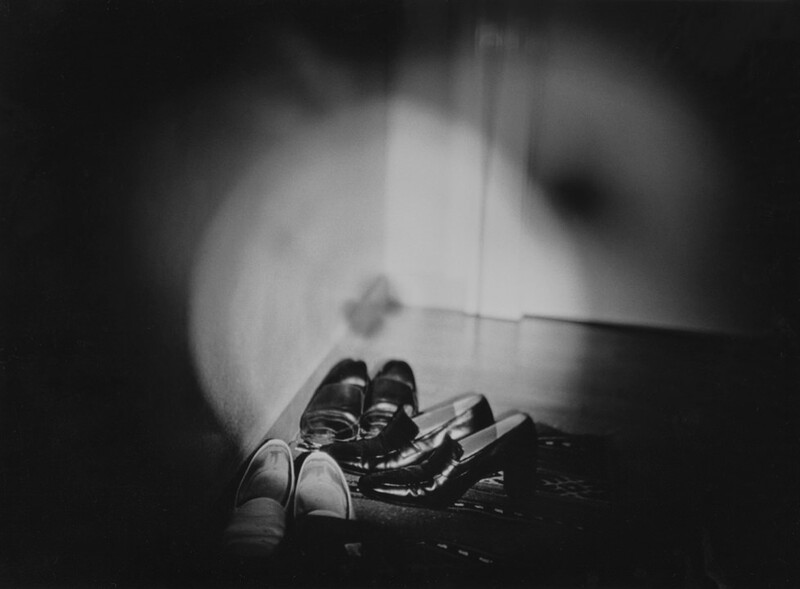 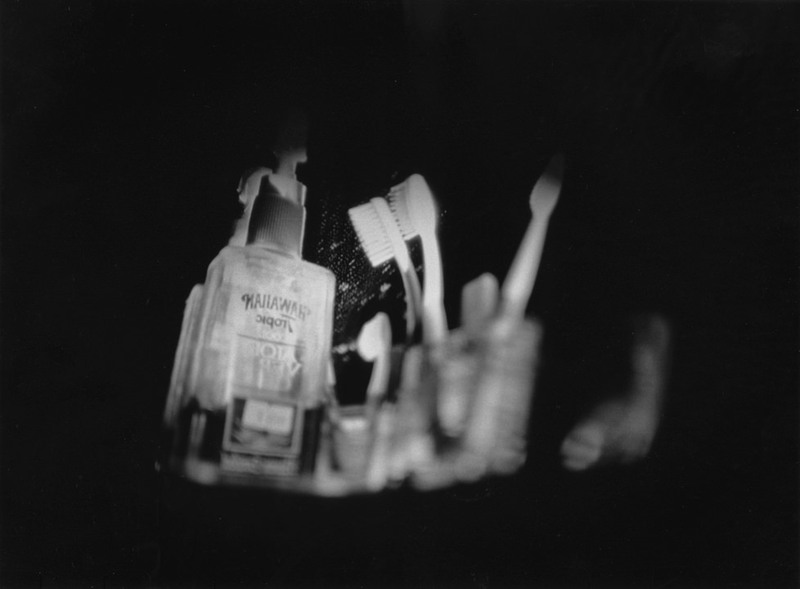 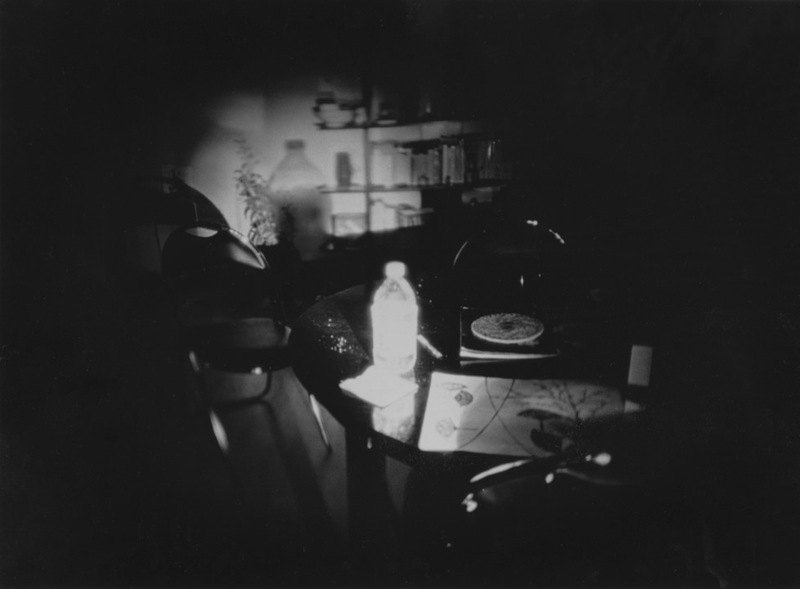 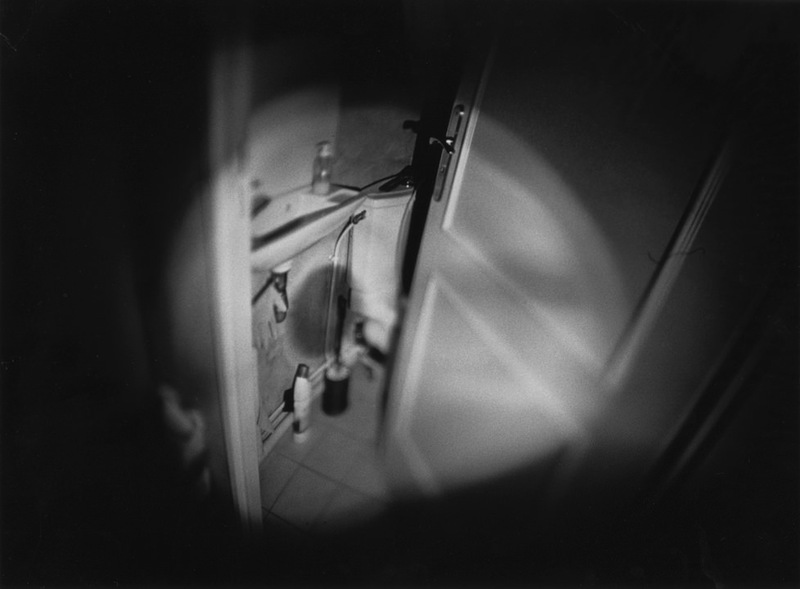 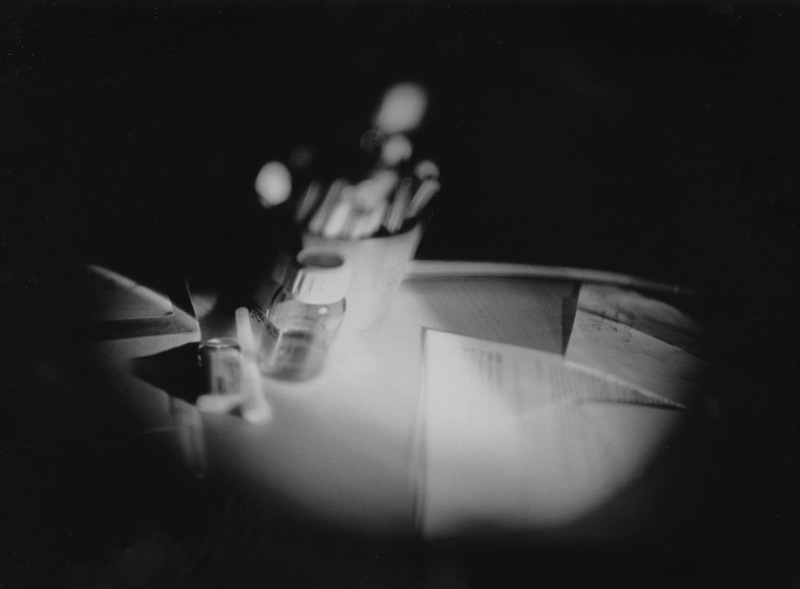 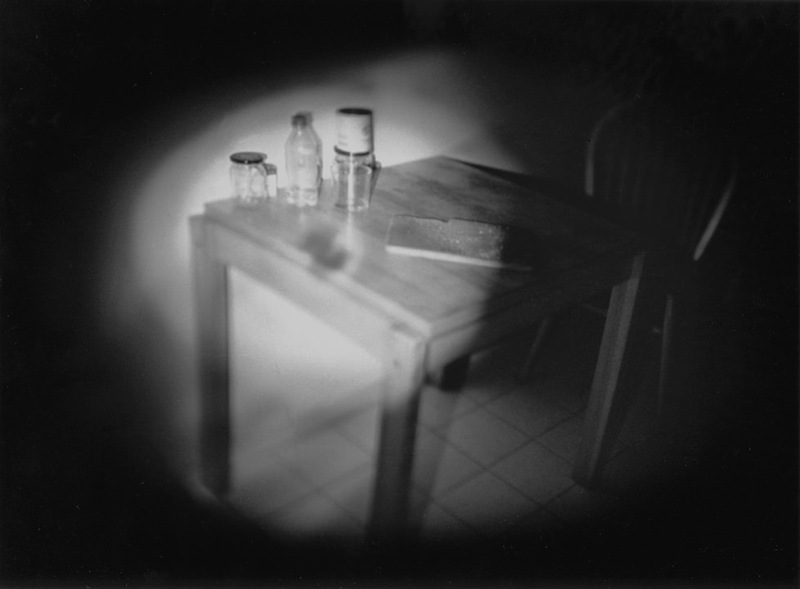 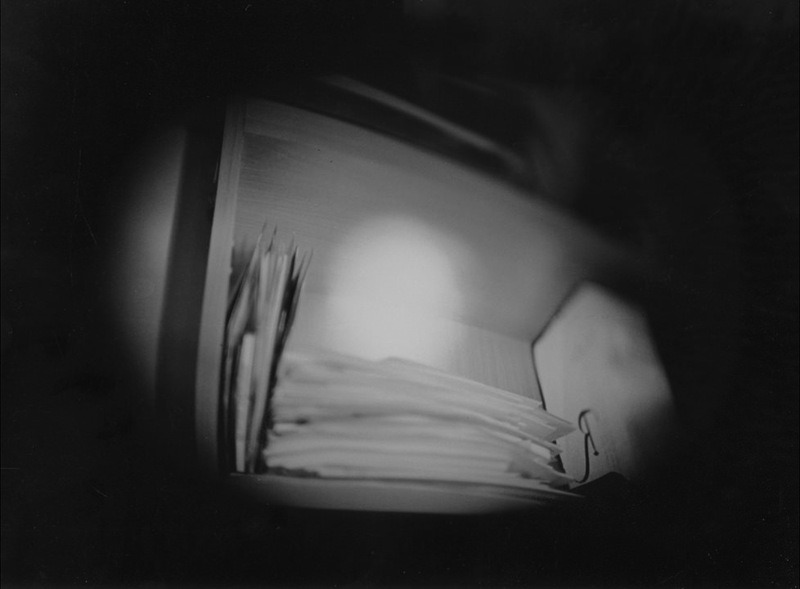 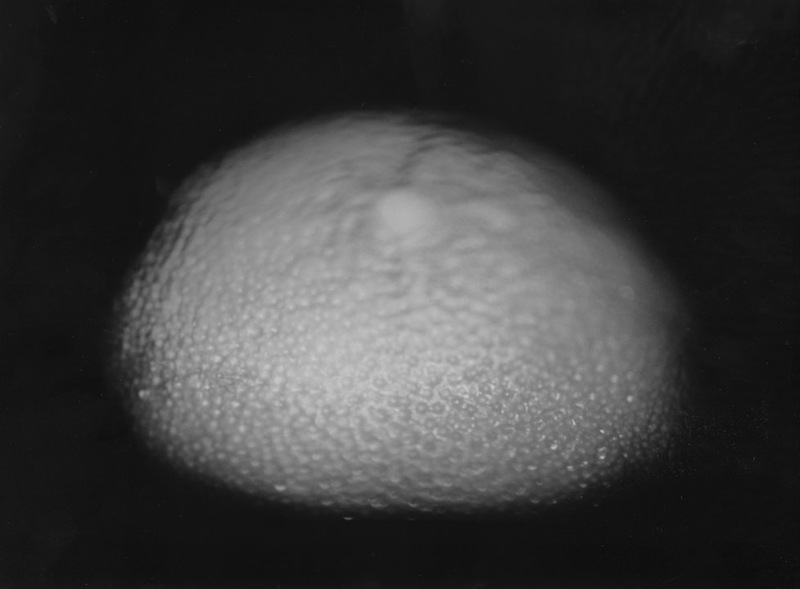 This work was photographed by moving around an apartment in the middle of the night, investigating the interior space and photographing the narrow, focused field picked out by the flashlight’s beam reflected in a mirror. 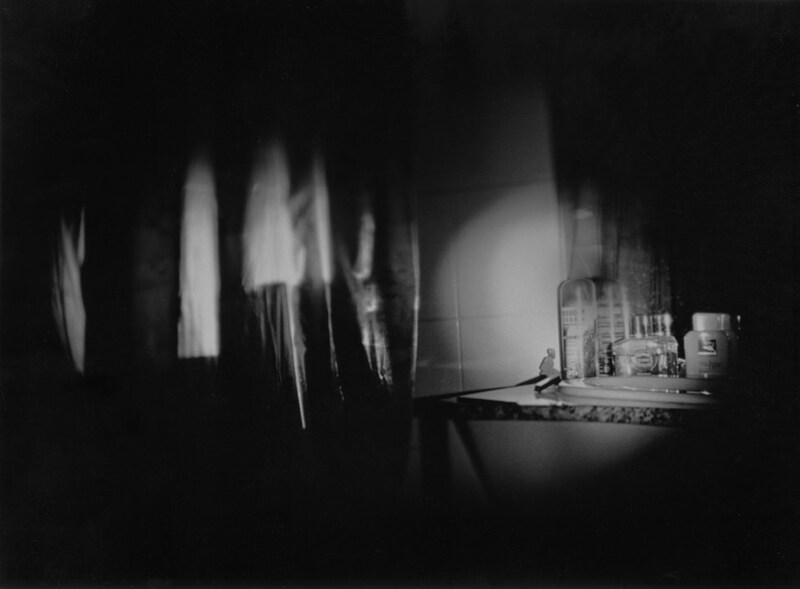 As mirror images, a reversal of reality, the photographs capture a realm unknown even to the people living there, transforming the everyday into something mysterious and ineffable. 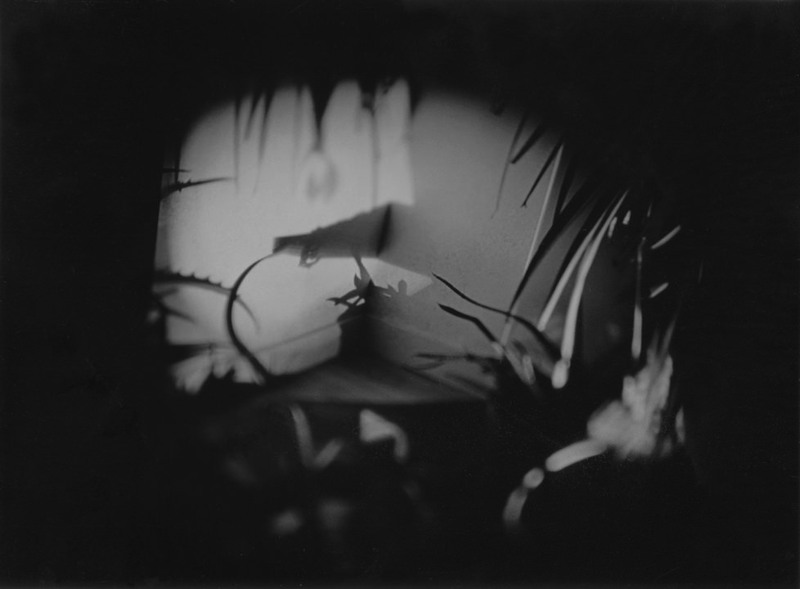 Onodera likens this to the view of a bee who has managed to find its way into the room.